"Let me make this very clear — unlike President Obama, I will not raise taxes on the middle class. As president, I will protect the sanctity of life. I will honor the institution of marriage. And I will guarantee America's first liberty: the freedom of religion. President Obama promised to begin to slow the rise of the oceans and heal the planet. My promise is to help you and your family." 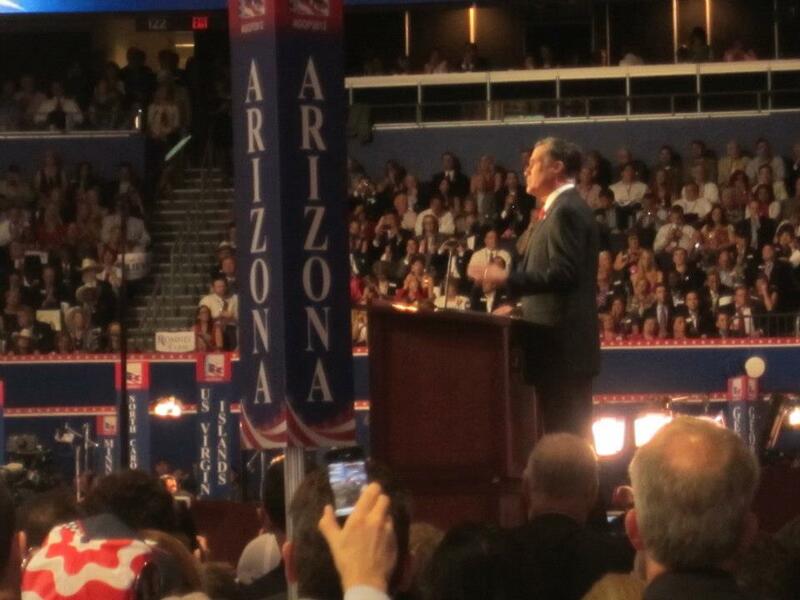 To read more quotes from Romney's talk, click here. 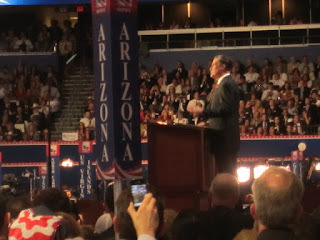 TO SEE VIDEO HIGHLIGHTS OF THE RNC CONVENTION, click here. VIDEO: The Missouri Delegation's vote is read at the 2012 Republican National Convention - from You Tube. TO VIEW THE VIDEO, click here. From Missourinet: What's hot at the RNC. Story by Mike Lear. From Tampa Bay Business Journal: Missouri and RNC delegates ridin' storm out at area hotels. From Michael Mahoney's 20 Pounds of Headlines: GOP Convo, MO Delegation Hotel Preps for Storm. 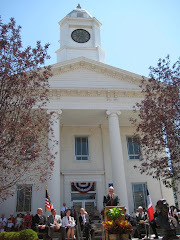 From Fox2Now & Paul Shankman Video: Missouri Republicans Hit with Akin Questions and Comments from Florida's Dave Barry. From eMissourian.com: Eckelkamp: Akin Flap a Distraction in Tampa. From Dave Helling and Steve Kraske, The Kansas City Star: Convention Buzz: Parties have perks, Paul camp lurks.